Tenants packed the North Bergen Public Library for the final hearing on Jan. 17. Dozens of tenants in North Bergen’s Stonehenge Apartments are fighting to prevent their rents from increasing well above the yearly rate stipulated by the township’s rent-control ordinance. The high-rise apartment complex sits at the edge of Braddock Park, overlooking the Hudson River. The rent-leveling board held its last public hearing concerning a capital improvements application filed by the landlord in 2011. Tenants in the 356 apartments are now facing possible 10-percent rent hikes, roughly $200 more in their monthly payments. When a rent-leveling board passes capital improvements applications, those rent hikes are permanent. The capital improvements application aims to cover improvements to the complex which were completed in 2011, allowing Stonehenge Apts, LLC to recoup roughly half of what it spent on fixing a defective HVAC system, replacing former apartments with a gym and a lounge, adding a pool, improving outdoor terraces, and installing wood flooring and carpets. Renovations cost the landlord $17 million; it is applying for coverage of $7,270,075 in expenses via rent hikes. A series of rent-leveling board meetings started in July 2018; dozens of tenants attended, speaking out against portions of the application that they feel don’t meet the guidelines or intent of capital improvements applications. North Bergen’s rent control ordinance forbids landlords from increasing rent more than 2.5 percent yearly, but the ordinance allows for capital improvements applications. Capital improvements are defined as building renovations that significantly improve tenants’ quality of life. A landlord then lists these renovations in an application to the rent-leveling board. It’s up to the board to determine if a renovation falls in line with the intent of capital improvements. If a rent-leveling board approves all or portions of the application, tenants foot the bill via increased rent. The ordinance defines capital improvements as “an addition to the property that substantially enhances its value or prolongs its life. It must benefit tenants to a significant degree.” The ordinance states that maintenance, or repairs done to comply with laws and building codes, don’t qualify as capital improvements. Stonehenge attorney Leon J. Sokol said at the Jan. 17 meeting that the long-term benefits of capital improvements give landlords incentive to prevent buildings from declining in quality. However, critics argue that capital improvements can threaten rent stability and displace tenants who can no longer afford to live in their apartments. Several tenants took issue with a replacement made to a defective HVAC system being included on the application. Heating and ventilation are required by rent-control standards. Tenant David Rosario said that his air conditioning didn’t function for a few months after repairs were made. The landlord had also placed more than $1 million in interest it owed contractors for renovations on the application. Michael Hockman, an auditor appointed as a witness in the hearing, agreed with a number of tenants that they didn’t stand to gain anything by paying off interest the landlord owed. “Interest, in no one’s universe, is a capital improvement,” one resident said. Sokol, the attorney representing Stonehenge, said that adequate notice had been given to all tenants in the complex. Some tenants, however, moved in after the application was filed in 2011, and said they were given zero notice when they signed their leases that they could be hit with a capital-improvements surcharge a few years down the line. They said they were led to believe that the current rents would stay at the increase of 2.5 percent a year, and that they wouldn’t have moved into Stonehenge otherwise. 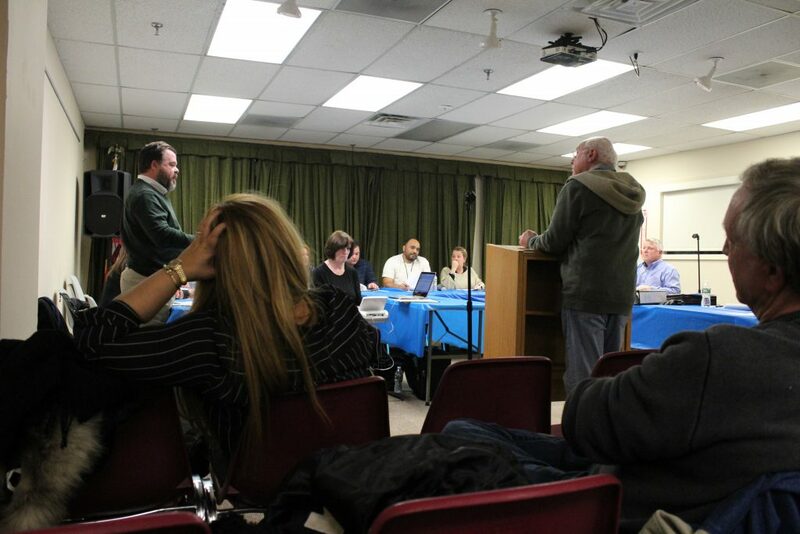 The rent-leveling board held its final public meeting on Jan. 17. The board will now go into the last stretch of arbitration to reach a decision that will affect every tenant in the complex. The next rent-leveling board meeting will be on Feb. 11, at 6 p.m., in the township municipal building at 4233 Kennedy Blvd.